November 15, 2018 – Ottawa, ON – The Seed Synergy partners have endorsed a made-in-Canada solution that will drive plant breeding investment and benefit everyone in the agricultural value chain, starting with cereal, pulse and specialty crop producers. As Agriculture and Agri-Food Canada and the Canadian Food Inspection Agency launch engagement sessions across the country to discuss two value creation models for cereals variety development in Canada, the Seed Synergy partners have declared their support for the contract royalty option – one of two options being considered. The Seed Synergy partners, comprised of the six major national seed industry organizations, support this consultation process and recommend that the contract royalty option be implemented as a Seed Variety Use Agreement (SVUA). The SVUA would allow breeders, if they choose, to set a Seed Variety Use Fee (SFUV) on farm saved seed that reflects an appropriate value for providing an improved variety to the producer. “The SVUA addresses the serious need for increased investment in plant breeding to support Canada’s cereal, pulse and specialty crop producers. Variety development research for these crops is significantly under-resourced when we consider increased global competition and the rapid pace of innovation,” says Dave Carey, Executive Director of the Canadian Seed Trade Association (CSTA). 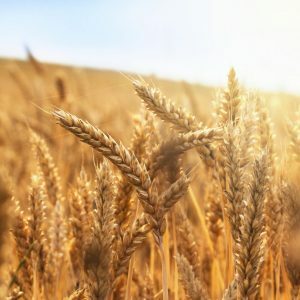 According to a recent study, cereal producers are missing out on the potential to generate $170 million in annual benefits with a value creation model, such as a SVUA, that increases research investment. This could also have a positive impact of $340 million for the economy at large (Reference: Canada’s Seed System: Economic Impact Assessment and Risk Analysis, JRG Consulting Group). Another study shows that producers benefit by $7-11 million for every $1 million invested in plant breeding in cereals, pulses and specialty crops (Reference: Groenewegen JR and SJ Thompson, Economic Impact of Plant Breeding at the Crop Development Centre November 2016). The SVUA concept was developed using three guiding principles: value, transparency and choice for Canadian producers. “The SVUA will provide producers with accelerated access to improved seed genetics that are essential to remain competitive globally,” says Jeff Reid, general manager of SeCan and board member of CropLife Canada, Cereals Canada and the Canadian Field Crop Research Alliance. Under the proposed system, producers will still have a “farmer’s privilege” to keep farm saved seed, but if they choose a variety with a SVUA they will be required to pay a SVUF to the plant breeder on farm saved seed of that variety. The fee will be set by the plant breeder or seed distributor and will vary depending on the value and performance of that particular variety. The Seed Synergy partners include: the Canadian Plant Technology Agency (CPTA), the Canadian Seed Growers’ Association (CSGA), the Canadian Seed Institute (CSI), the Canadian Seed Trade Association (CSTA), the Commercial Seed Analysts Association of Canada (CSAAC) and CropLife Canada. For more information, visit seedvaluecreation.ca and download the Q&A and presentation.